We ship via FedEx Ground or UPS Ground. Orders usually ship in 2 - 3 business days. Your source for aircraft paint and primer touch up. NOTE: Primer is not included in paint kits. Customer is responsible for determing whether primer is necessary for your particular situation. A corrosion preventative primer should be used on properly treated bare metal before applying your paint coat. 11-00150-1 Matterhorn White Touch-up Kit 1 oz. 11-00150-2 Matterhorn White Touch-up Kit 2 oz. 11-00021-1 Snow White Touch-up Kit 1 oz. 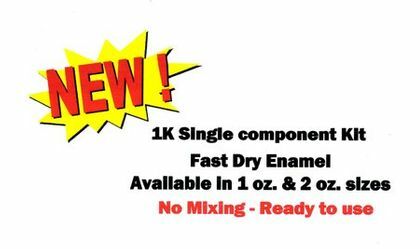 11-00021-2 Snow White Touch-up Kit 2 oz. 11-17865-1 Beechcraft Matterhorn White 1 oz. 11-17865--2 Beechcraft Matterhorn White 2 oz. All orders containing HAZMAT items will be shipped via UPS Ground or FedEx Ground. (HAZMAT items are paint, aerosols, any chemicals in liquid or paste or powder form.) A $ 10.00 fee may be added to any order requiring a certification. Thank you. On rare occasion a product image may not depict actual product in stock at time. Suppliers change but the described item/s will be of equal or greater value and quality. Purchaser assumes all responsibility for proper handling and disposal of any product purchased through this website, pursuant to all local, state, and federal laws for all materials purchased. The most current color formulas are utilized. Purchaser is responsible for checking of color match. Prices listed on this website are subject to change without notice. Product images used on this website are for reference only and may come packaged differently. This in no way affects product quality. 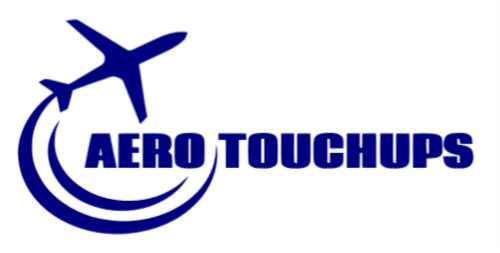 Aero Touchups is a division of Deb-Co Enterprises, LLC and assumes no responsibility other than replacement of defective product. All sales are final unless prior authorization is approved, and any item returned will be charged a 20% restocking fee. Transactions will post on your credit card statement as DEB-CO ENT, or DEB-CO ENTERPRISES.